So imagine you're me. You've started out a new quarter at University with an unprecedentedly light schedule -- three classes, all on Tuesdays and Thursdays. You've got all the time in the world on Mondays, Wednesdays, and Fridays, not to mention the weekends. You've several projects you're itching to put in time and code on. Things look to be going pretty well, and you make a few commits on some dusty git repos. March is nearing a close and the world is, if not normal or ordinary, business as usual, as much as it can be in the current political climate. Twitter's a bit of a stressful affair these days, but you still hop on occasionally to catch up on current events, thoughts from other programmers, and so on. So there you are scrolling down your Twitter feed, when someone mentions an interesting new thing called Mastodon. 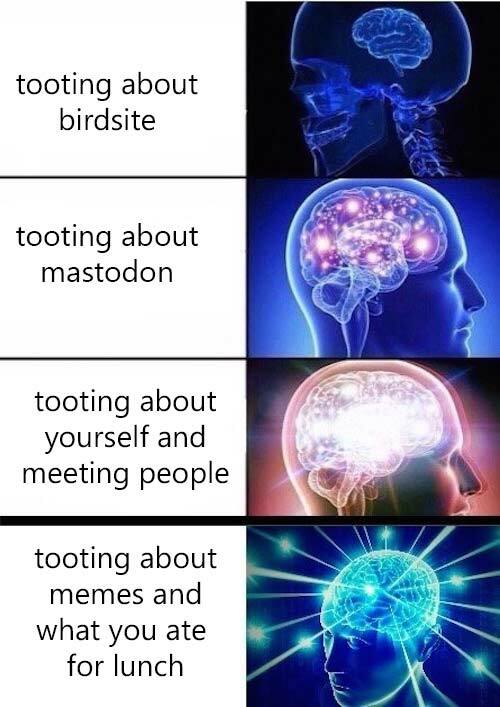 "What's Mastodon?" you think to yourself, and click through. The landing page gives you the basic rundown. It's a new open source social network, touting some features that Twitter hamfistedly messed with over the last few months (chronological timeline, normal replies) and a 500 character post count. It also mentions something about being "distributed," but you've no idea what that means. Intrigued, you create an account. The first thing you notice is the UI: it's like Tweetdeck. "Well that's pretty nice," you think, although there's this annoying gap to the side and you can't seem to create new columns. Speaking of columns, there's the home timeline and the notifications pane, but there's a couple other options you can open on the third column that sound unfamiliar. "Local timeline" and "Federated timeline." You click on the Federated Timeline experimentally. Posts ping by every few seconds. There's a lot of chatter about the site itself and introductions from other new people. Pictures and quotes and discussion. It seems to be the old Twitter firehose, reborn as a readable and interactive stream. The local timeline is the same, but only for people on your instance. You're not sure what that means. It seems mostly the same as the federated timeline. Later you learn that by "distributed," the landing page means that this web site, mastodon.social, is just one of dozens of instances all running the Mastodon software. All of them, and a fair number of other servers running OStatus compatible software, can mutually exchange posts and allow users to follow each other. It's a real network, decentralized. You also notice the post button, rather than "Tweet", says "TOOT!". At first you can't get over this (b-b-but it means fart!) but the embarrassment quickly fades. 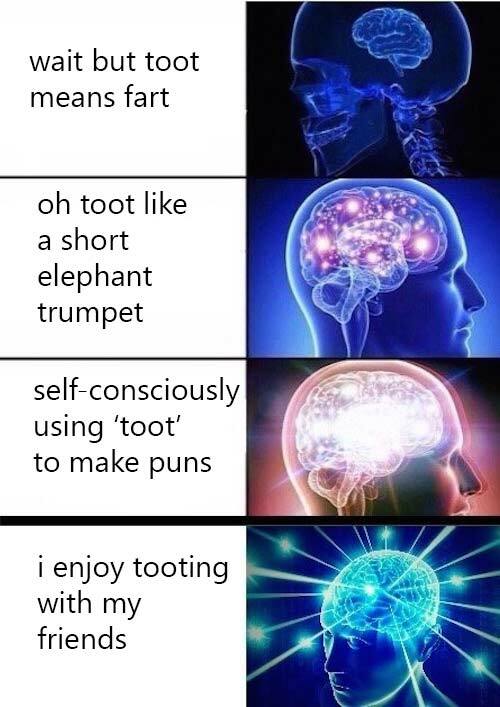 You crack a joke or two about it like everyone else and then quickly grow used to saying "toot" everywhere you used to say "tweet". You stay on mastodon.social a few days, meeting people (everyone there is very friendly and the community is small) and learning the ropes. It's easy to gain followers, although there's no people you know from Twitter besides a couple of tech reporters who are there to write short articles critical of its success. That's okay though, because you're enjoying talking to the people there enough that you haven't even been back to Twitter. The atmosphere is different. It's optimistic instead of apocalyptic. A few days pass. Scrolling idly through the federated timeline, you realize mastodon.social has grown a lot in the past few days. Like a lot. The other instances haven't, as much. Things are actually starting to slow down as the server falls over due to load. You decide to go check out the git repo and see how hard it'd be to deploy your own instance. The Production guide makes things seem pretty straightforward, although the Ruby and Node.js make your stomach turn. You decide to give it a shot on your spare VPS, a cheap $5 digitalocean droplet you keep around mostly for backups and miscellaneous experiments. After a few hours of trouble, you finally manage to get everything set up right. Your home page looks just like the flagship instance, but you're the only user there. You can import your follows list, though, and all the posts show up in your home timeline. The federated timeline is a lot less useful, though -- it's only showing posts from people you follow anyway. It turns out this is just how server federation works -- your server only brings in the posts that are from accounts that people on your server follow. Feeling confident, your thoughts begin turning towards a new possibility. What if you ran your own instance? It could work, there's a lot of people looking to get off of mastodon.social, and you know everything you'd need to do to get it up and running. It's April 5th. Around noon, you start browsing for domains and by 8pm you have a running instance on the novelty domain cybre.space. You've decided to go with an amazon ec2 instance, a t2.medium, hoping that will suffice for a smallish community. You give it another hour or two while you make some customizations (colors, strings -- you changed "TOOT!" to "PING!" for flavor, and "like" to "florp" to capitalize on an old Twitter joke), and then open it up to the public. Cybrespace is alive. Turns out running a web server, especially a customized web server that needs to be merged back with the rapidly-developing master branch, is hard work. Administration, and fostering the small cyberpunk community growing on your instance, takes most of your time over the next couple weeks. Besides what you need to do for work, your other coding falls by the wayside. Eventually, things slow down a bit, your server is stable, and you can finally breath a bit again. You're running your own Twitter and the people there are awesome. Things are looking alright there. You begin to feel guilty about having dropped all your work on 4vim, TWC, and HMN. Looking at your TWC codebase, an idea forms. You evil human being! You just pulled a 'to be continued...' on us and it killing me!